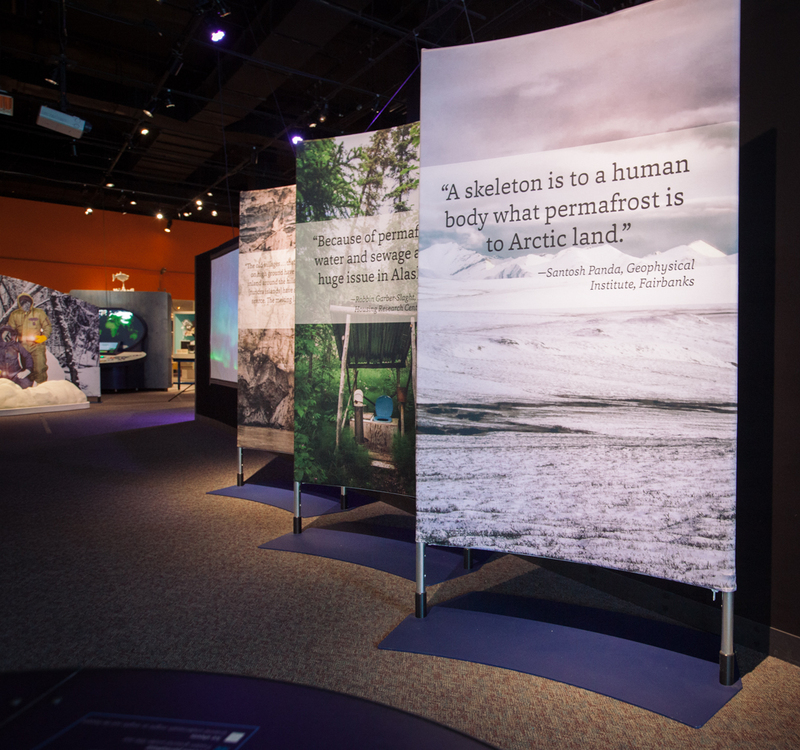 Dig into what lies beneath the Arctic with the vast and fascinating world of permafrost! 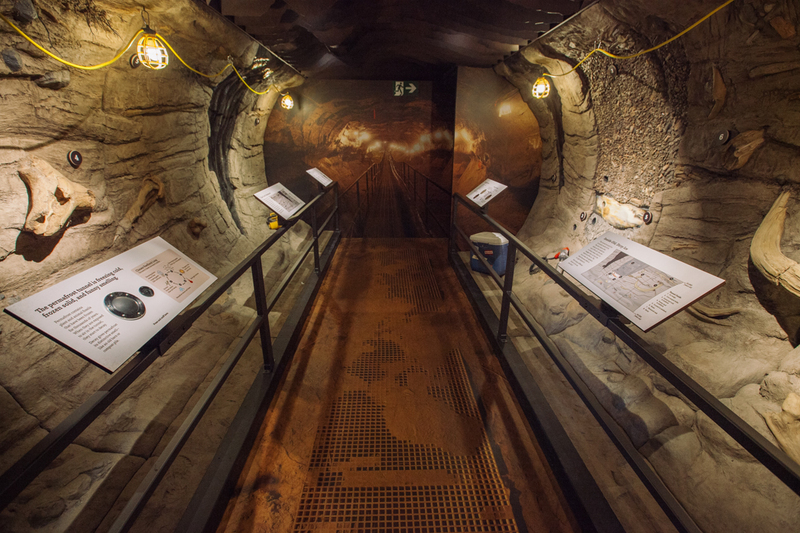 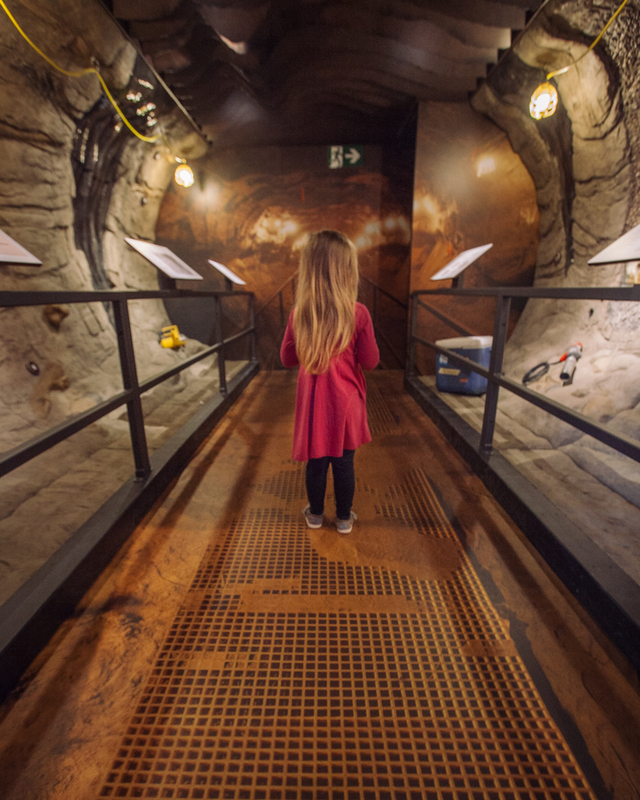 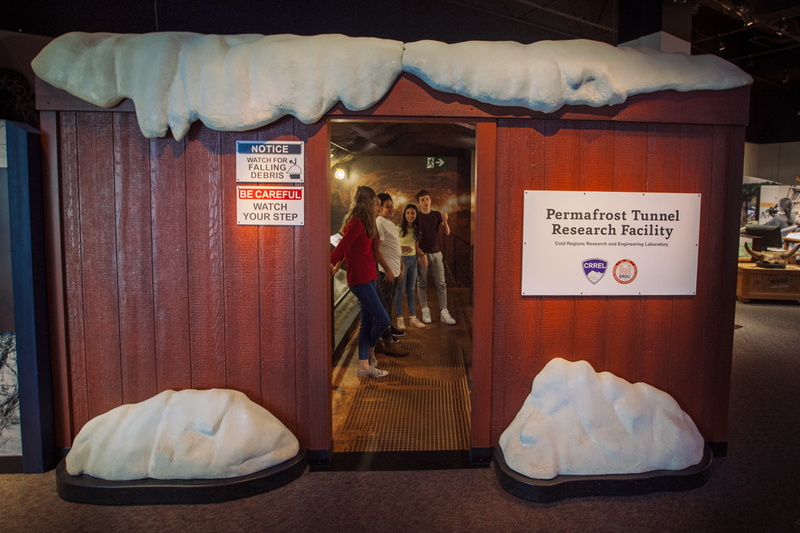 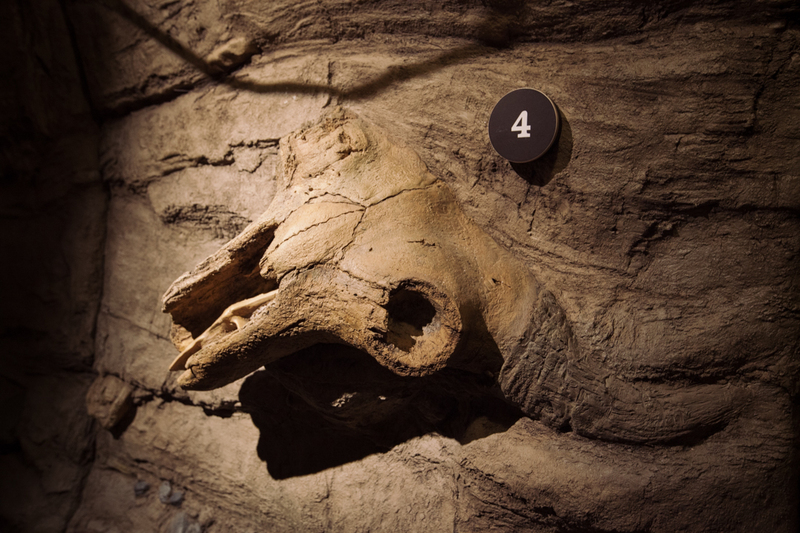 Under the Arctic: Digging Into Permafrost transports visitors to the Arctic using the sights and smells of the Western Hemisphere's only permafrost research tunnel, with Ice Age fossils. 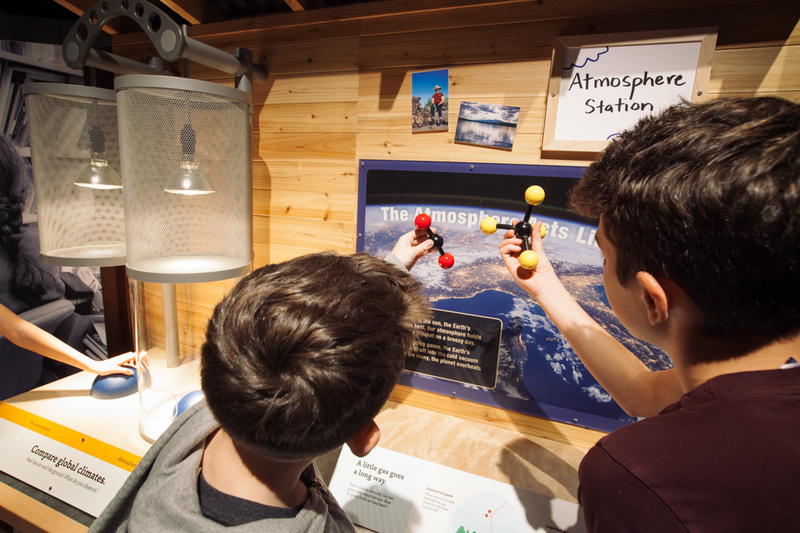 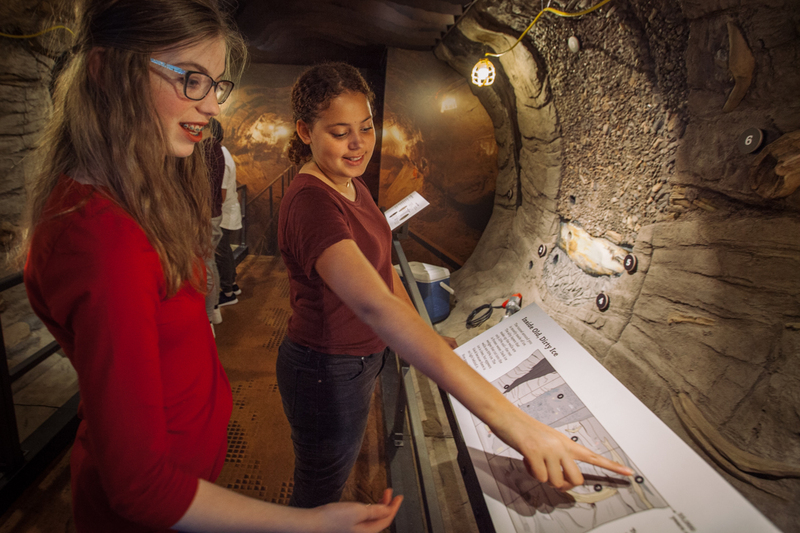 Visitors step into the shoes of a climate science researcher in the Field Lab and solve engineering challenges posed by thawing permafrost. 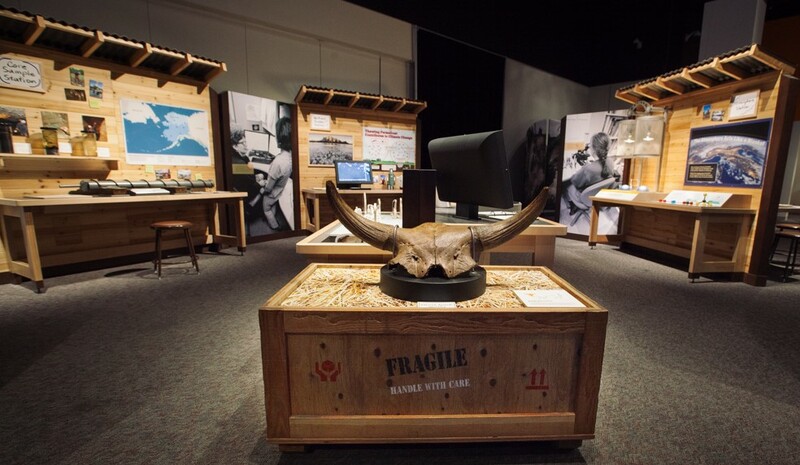 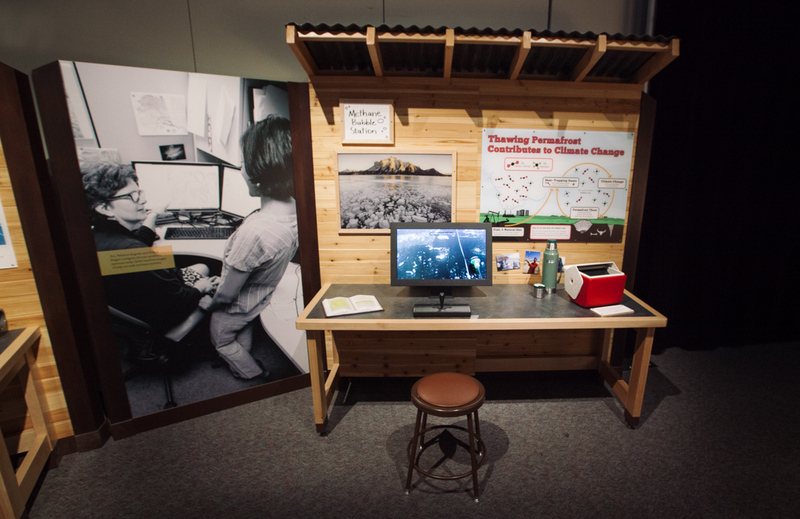 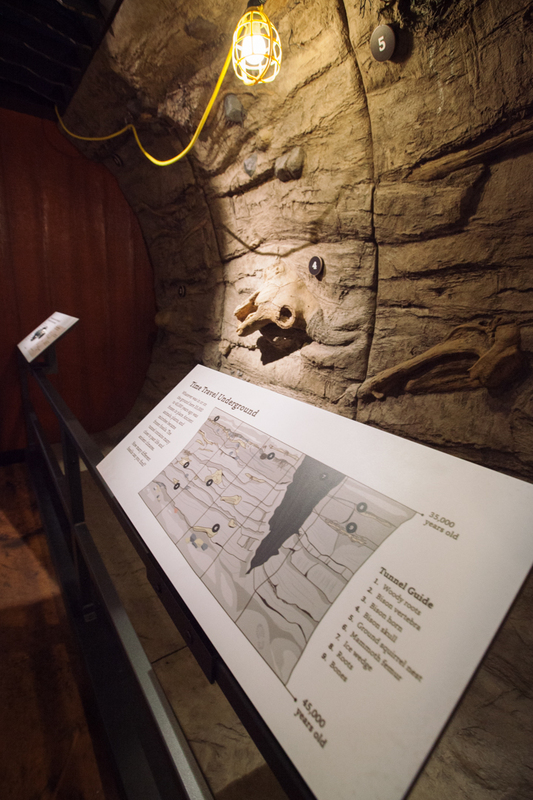 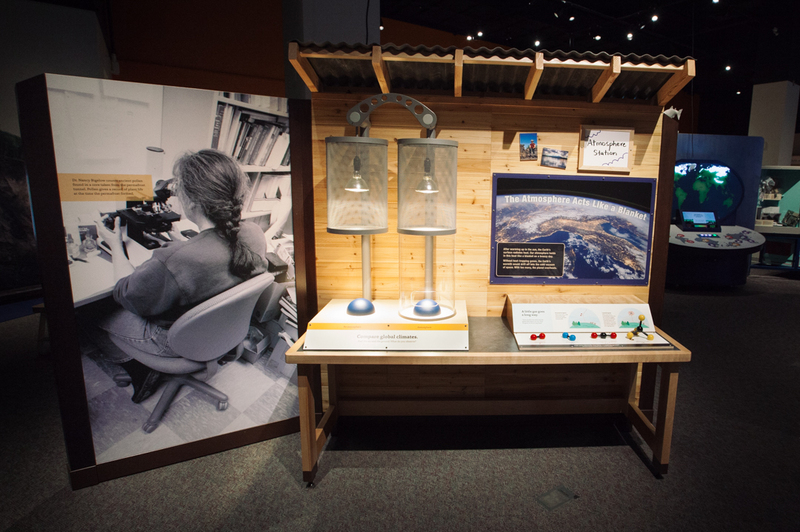 Visitors also reflect on real stories from people whose lives have been impacted by the changing global climate with Stories of Change, which highlights resiliency and ingenuity in the face of a changing landscape. 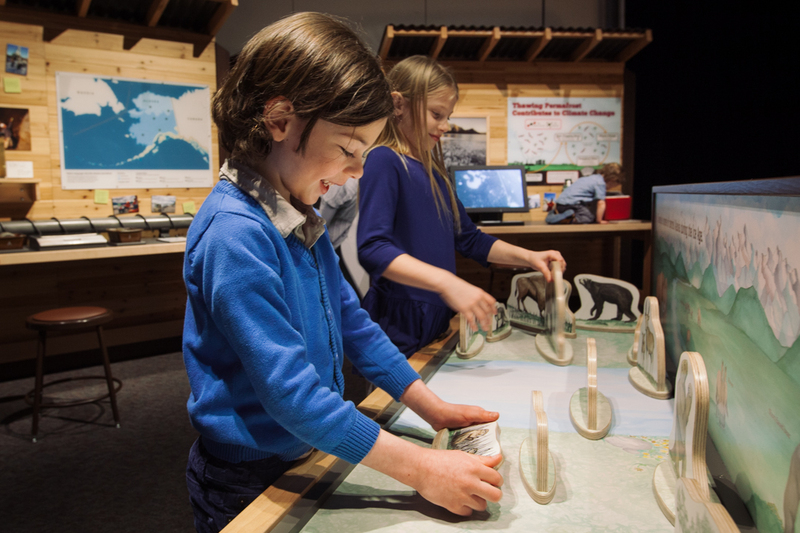 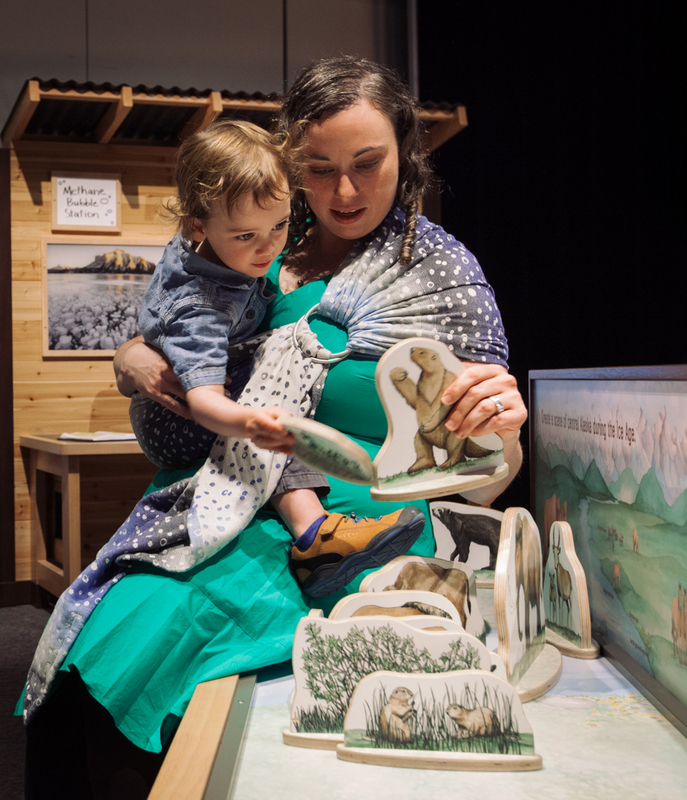 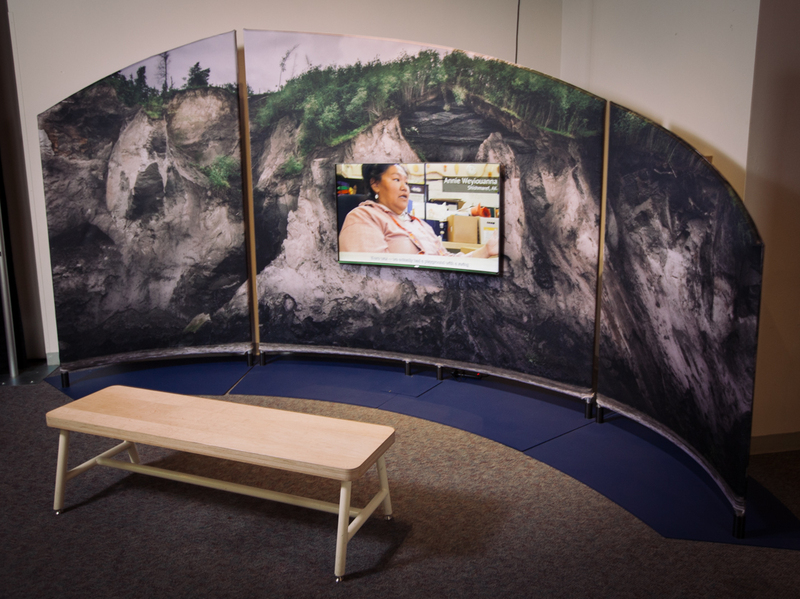 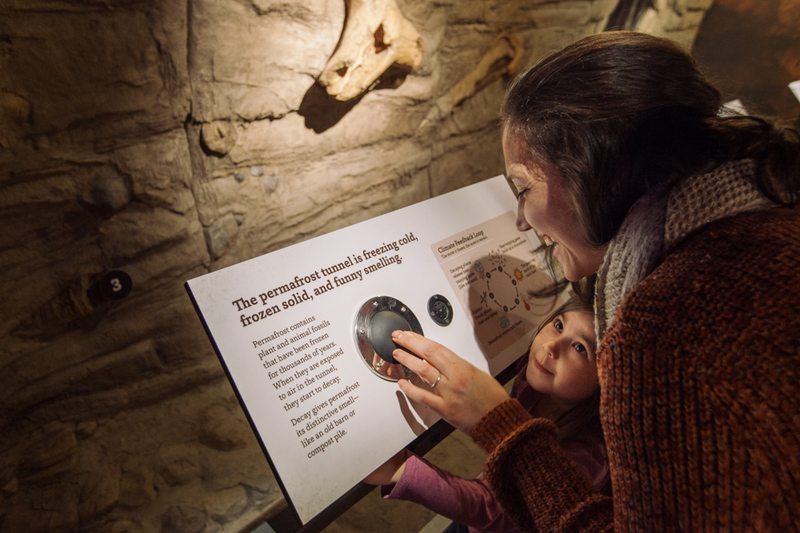 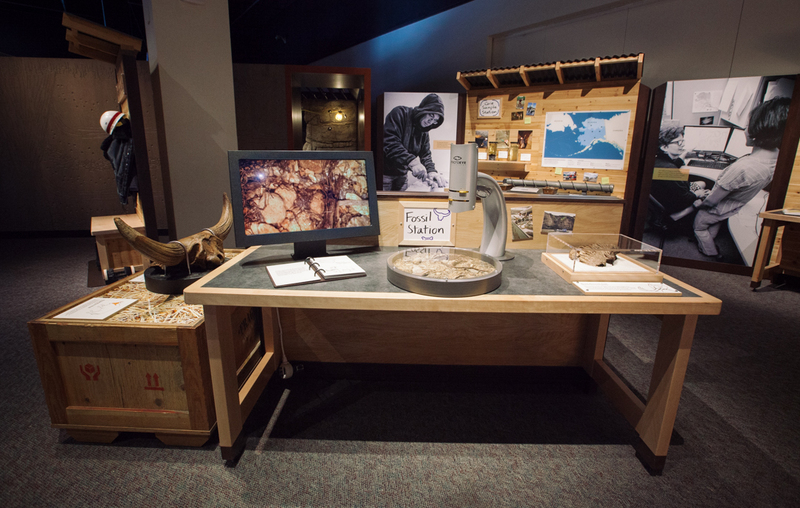 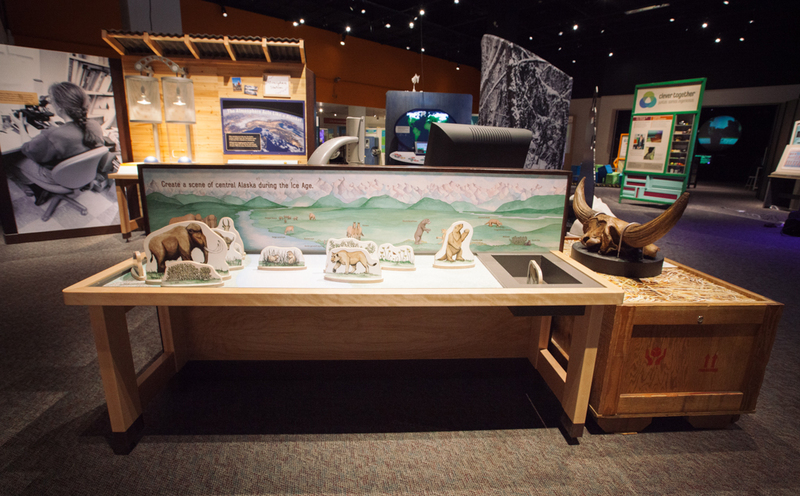 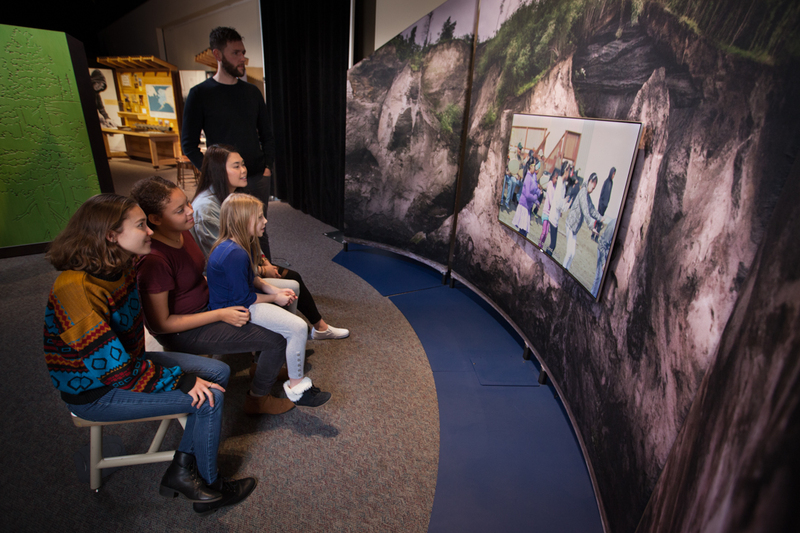 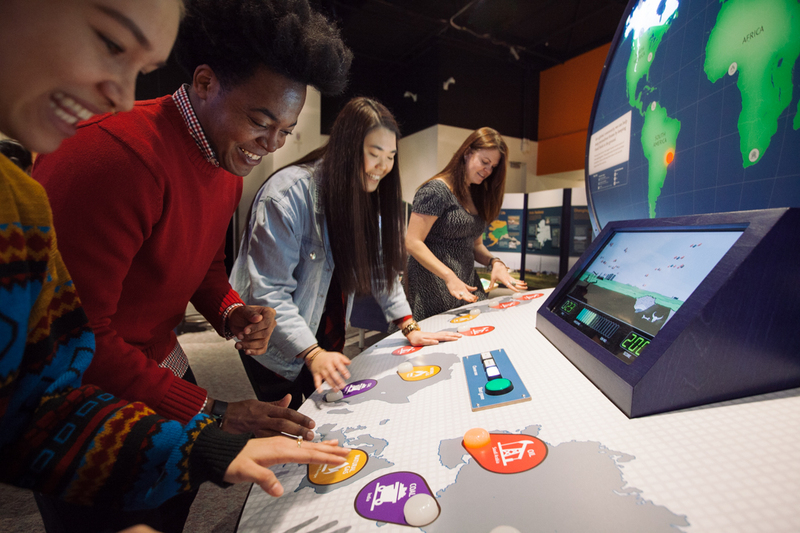 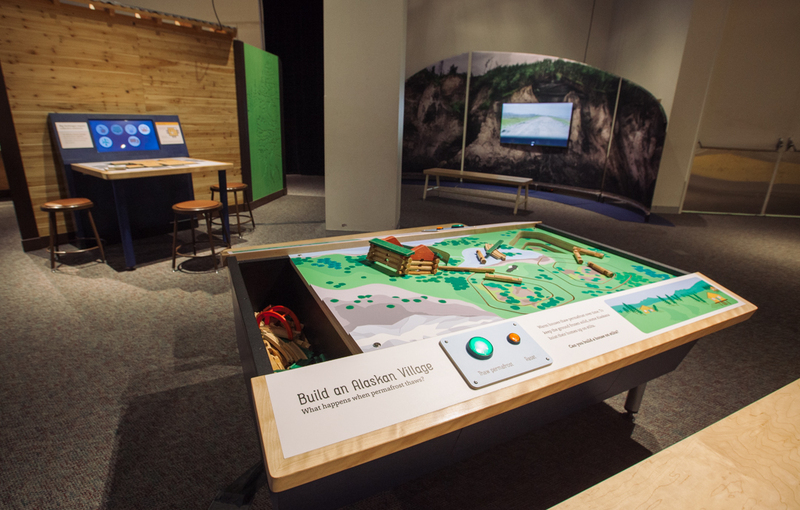 Through engaging interactives and videos, visitors learn about how the dramatic permafrost landscape provides clues to our past, present, and future, and consider realistic ways they can positively impact the environment. 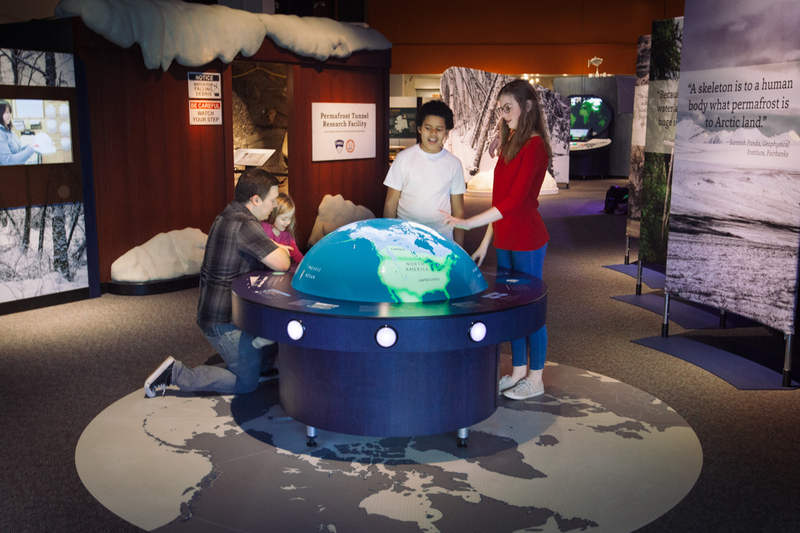 Designed for families and school groups, Under the Arctic has a special emphasis on reaching audiences ages 9-14. 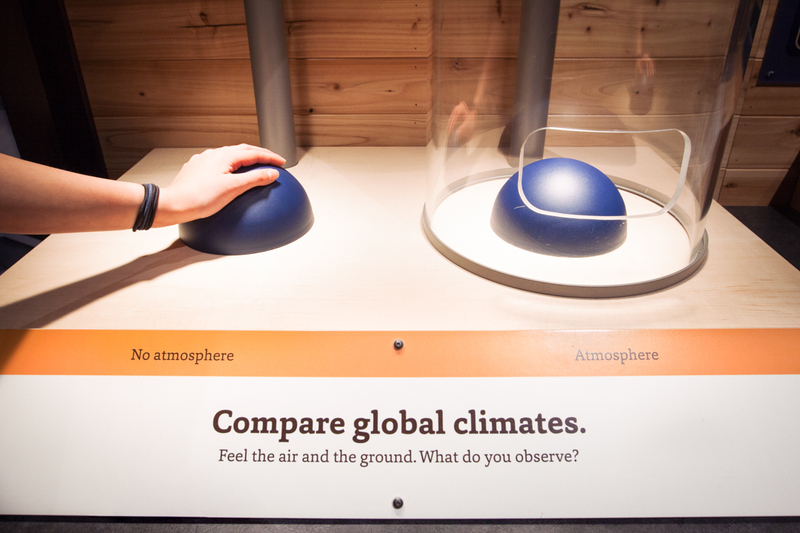 Arctic Globe interactive. 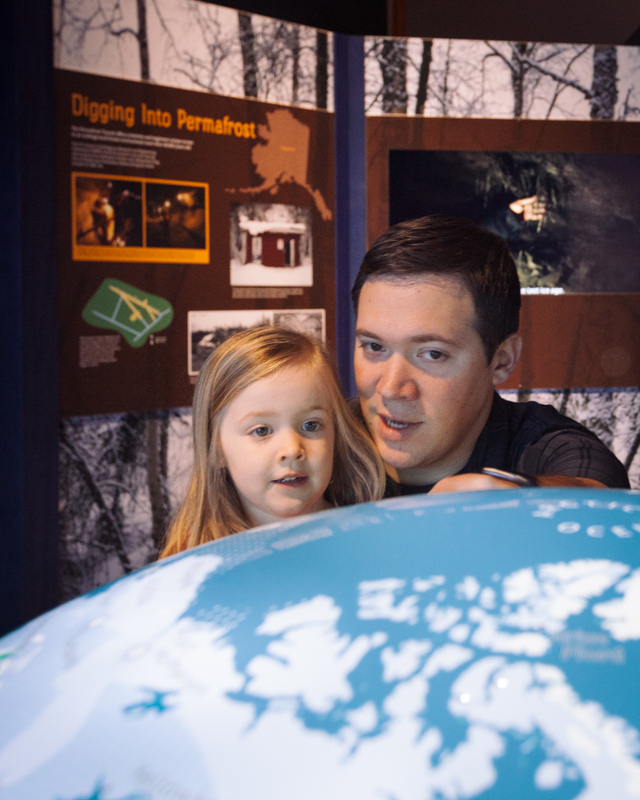 Discover stories about living on permafrost through this interactive globe at the entrance to the exhibit. 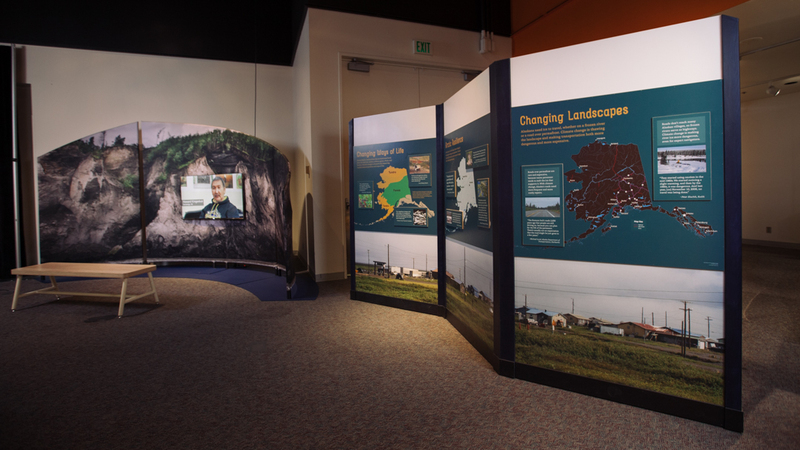 Under the Arctic environmental entry graphics feature quotes from Alaskans and permafrost researchers, and photos from the Arctic. 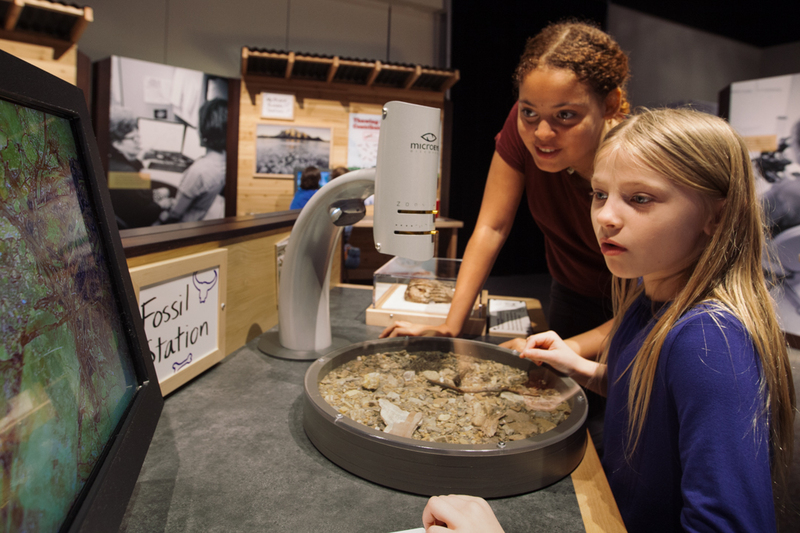 Keep school audiences engaged from pre to post visit with quality materials that drive curiosity and leave students and educators wanting more. 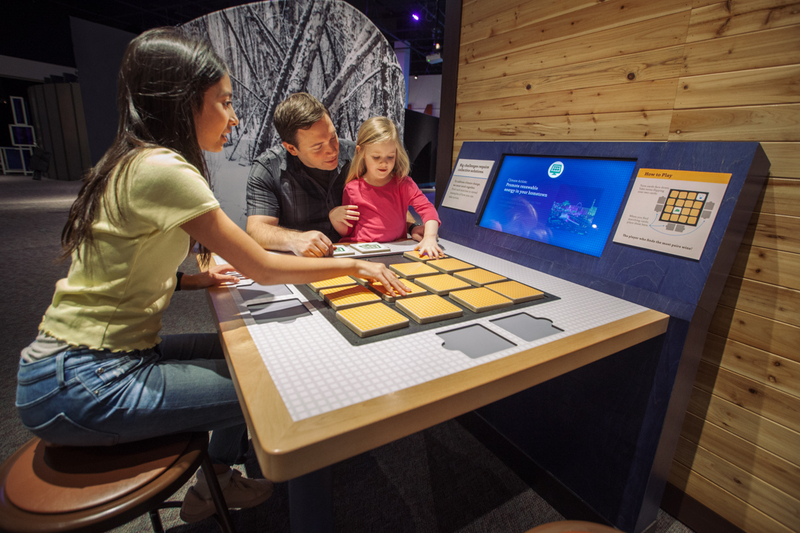 Download materials easily customizable to any curriculum. 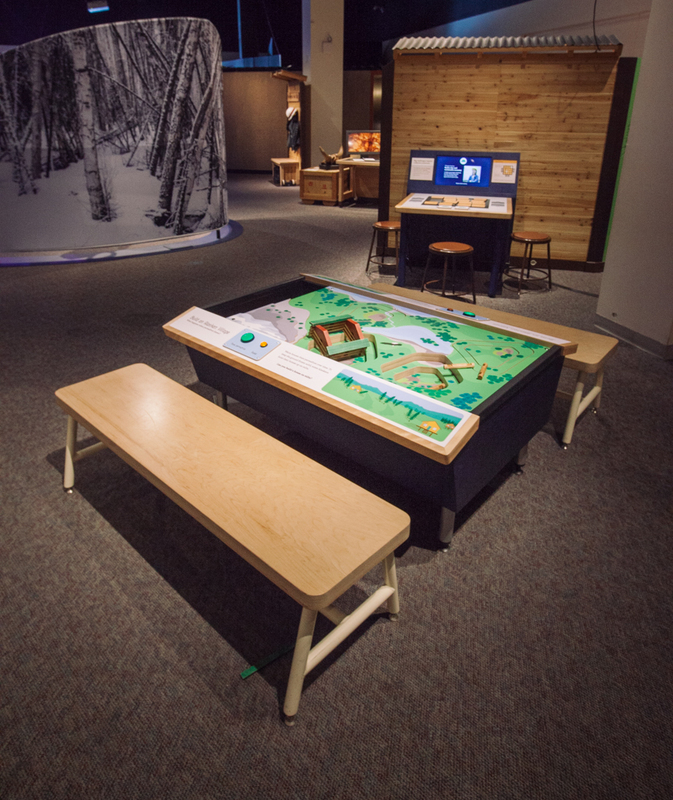 This sample floor plan gives you an idea of how Under the Arctic will look in your gallery space. 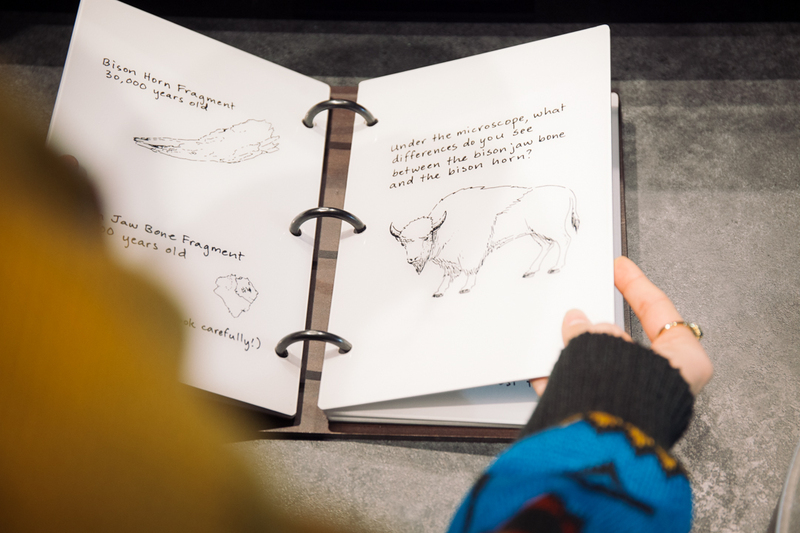 Tour Schedule for Under the Arctic. 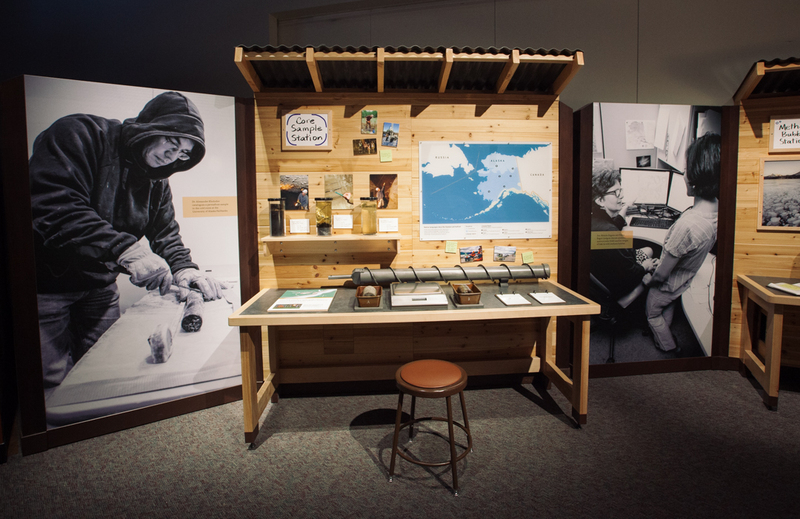 Printable fact sheet for Under the Arctic. 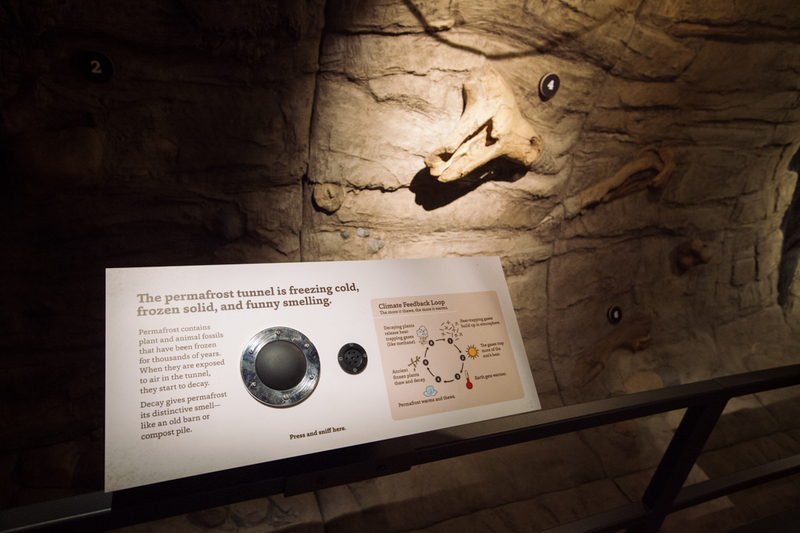 Descriptions of each Under the Arctic component with images. 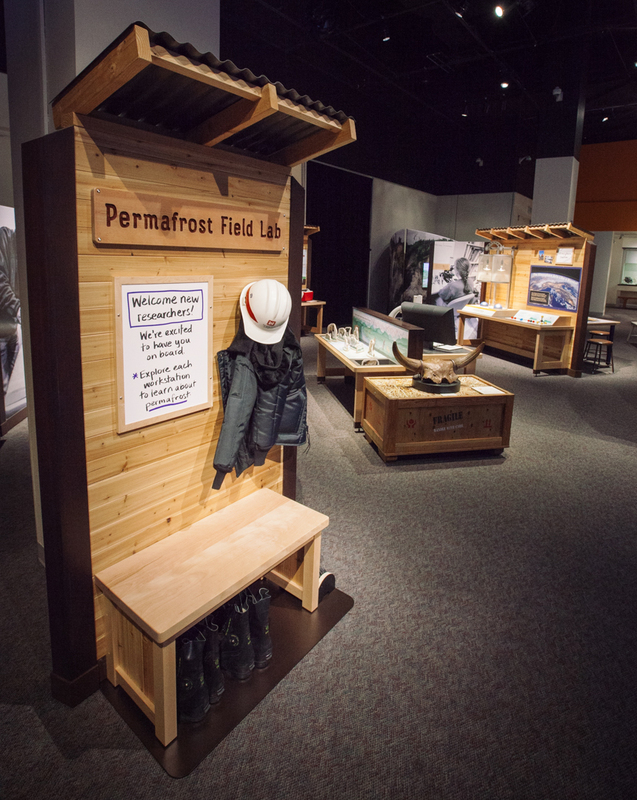 Under the Arctic: Digging Into Permafrost is produced and toured by the Oregon Museum of Science and Industry (OMSI). 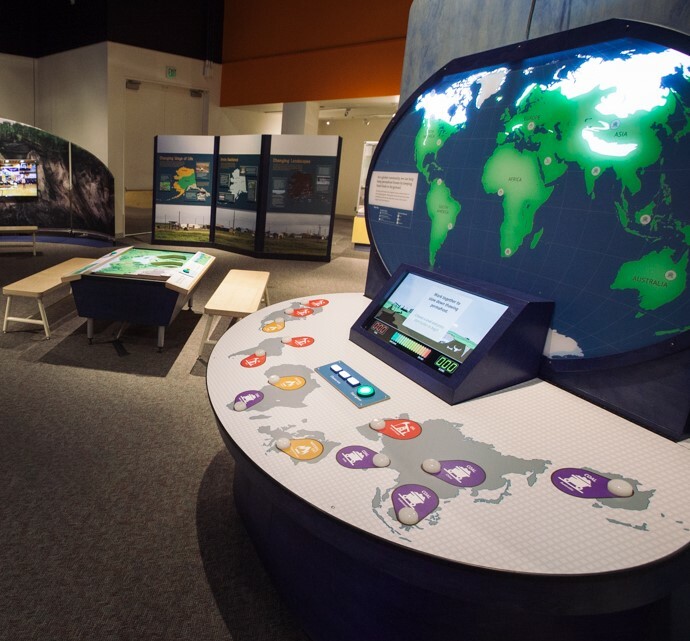 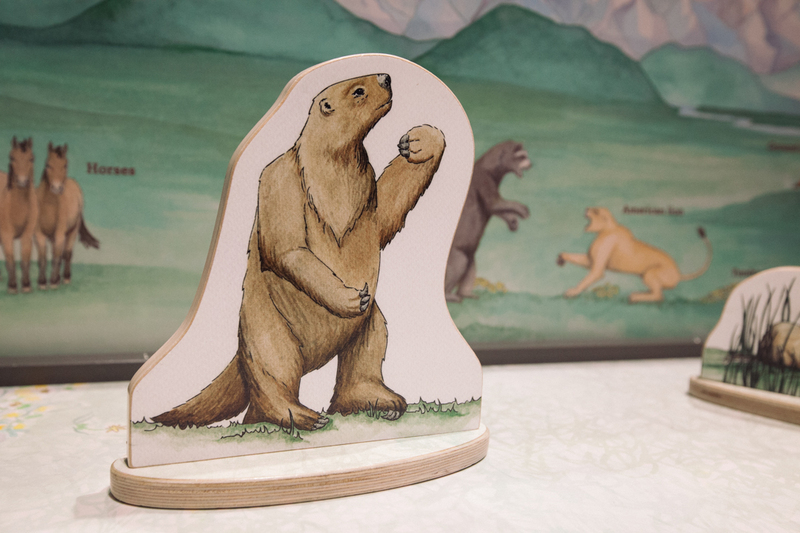 This exhibit was made possible by a National Science Foundation (NSF) grant award number 1423587. 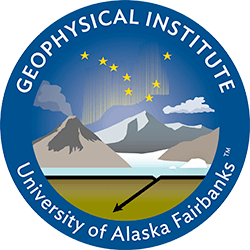 Under the Arctic: Digging Into Permafrost was produced in partnership with the Geophysical Institute at the University of Alaska Fairbanks.